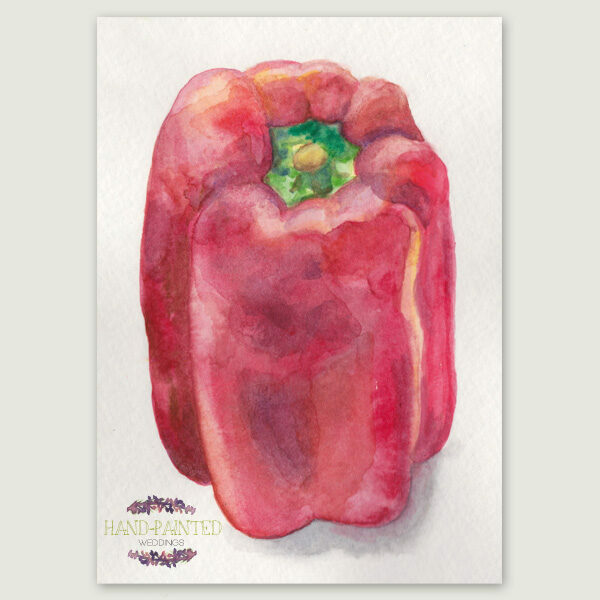 5″ x 7″ art print of the original watercolor. 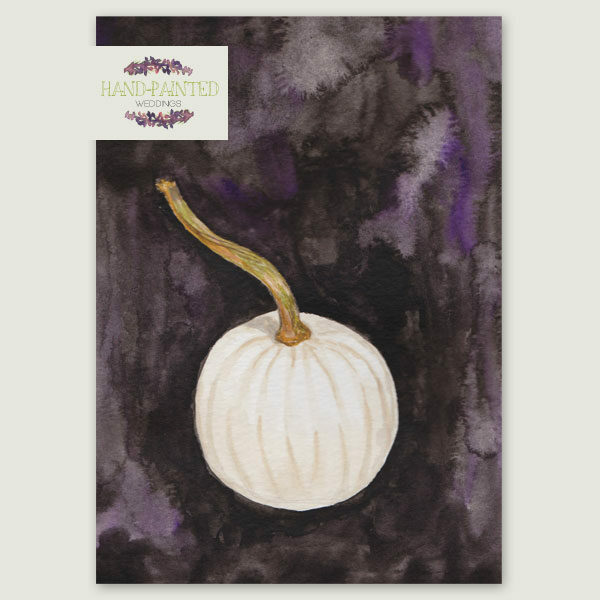 Printed on 200 GSM 100% Cotton Watercolor Rag paper. This print looks very much like the original. 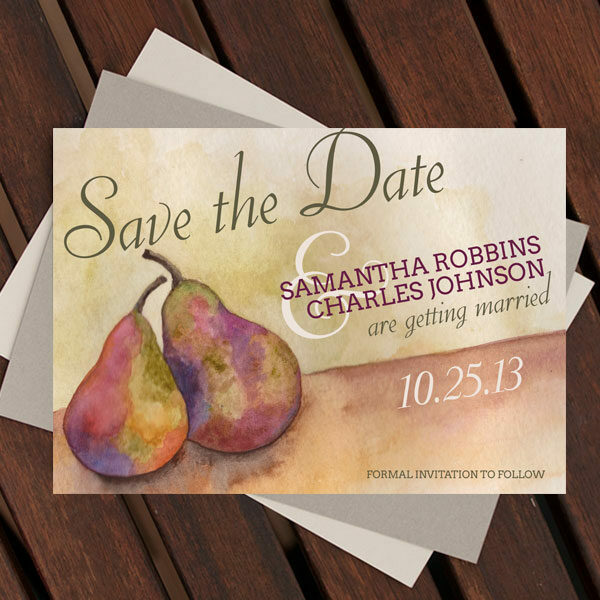 Please note that the Hand-Painted Weddings logo will not be on the final print. 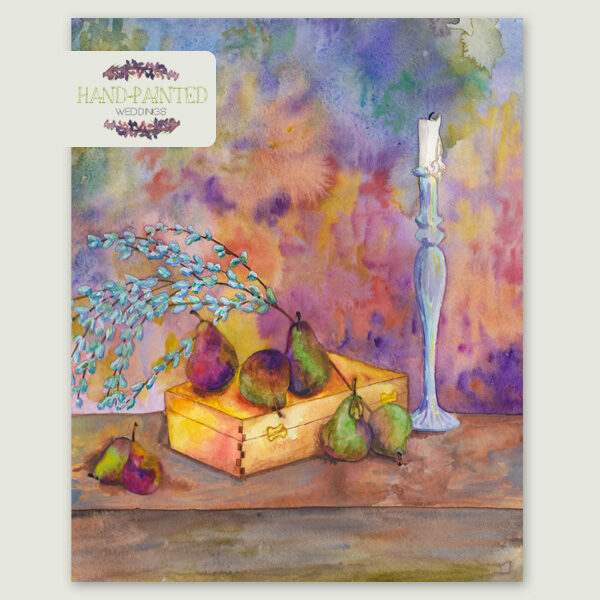 This print will ship in a clear cello sleeve with a backer board to avoid bending. 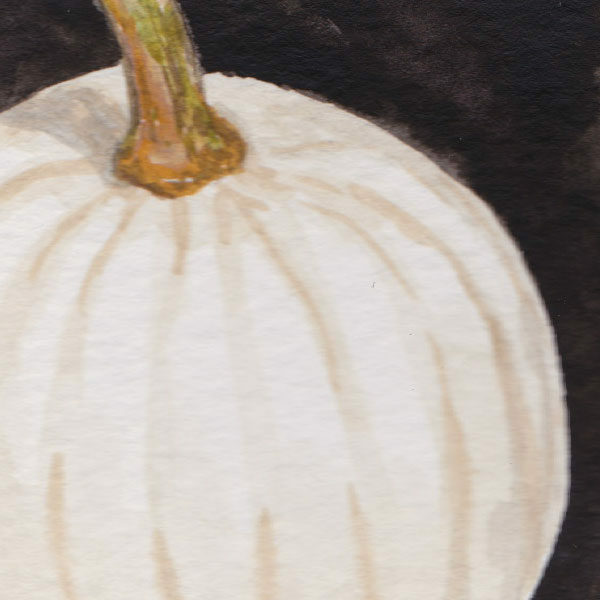 This spooky mini white pumpkin watercolor painting is very detailed. This is a very classy Autumn decoration to adorn your walls during the Fall season, especially as a Halloween decoration.